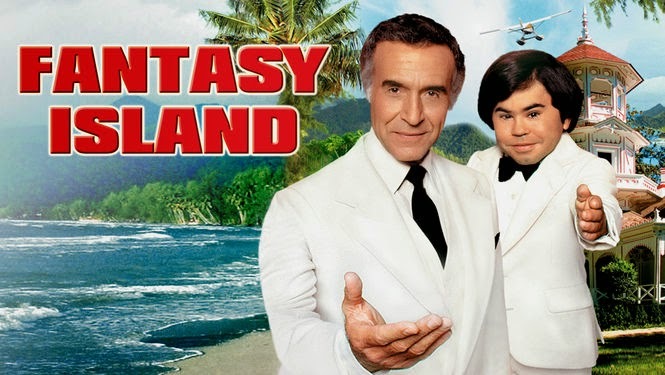 Left and Write: F is for : Fantasy Island!! F is for : Fantasy Island!! Smiles everyone....smiles! My dear guests, I am Mr. Rourke....your host....welcome to Fantasy Island!! Before I "discovered" girls and going out on Saturday nights, this show was a staple of my Saturday evening, "must see", t.v. viewing along with The Love Boat. A very interesting show that featured the enigmatic Mr. Rourke, played by the great Ricardo (Khaaaannnnnnnn!!) Montelban and his trusty sidekick, Tattoo (Herve' Vilachez). Each week Tattoo would run up the tower to ring a bell as the seaplane approached shouting, "De Plane, de plane!" Each week, the mysterious Mr. Rourke would host a different set of guest stars and make their fantasies come true. Many times, though, the guest's fantasies weren't everything they expected. It seemed as if Mr. Rourke (or just "Rourke" to his friends) had some sort of mystical powers that was touched on in quite a few episodes. This element was highlighted more when ABC revived the show in the 90s with Malcom McDowell in the lead. I think the thing I liked the best about Fantasy Island was that, like some stories about genies and three wishes, the fantasies never seemed to work out like the guests wanted, but did work out for their benefit in the end. There was, usually, some sort of life lesson that Mr. Rourke would try to teach though, for the most part, he always warned that he was forbidden to interfere. Now, whether that was self imposed, or not, we never knew. Just like The Love Boat, Fantasy Island was a vehicle to showcase numerous guest stars, each week. Another thing I really enjoyed about this show was the pseudo-supernatural aspect of some of the episodes. 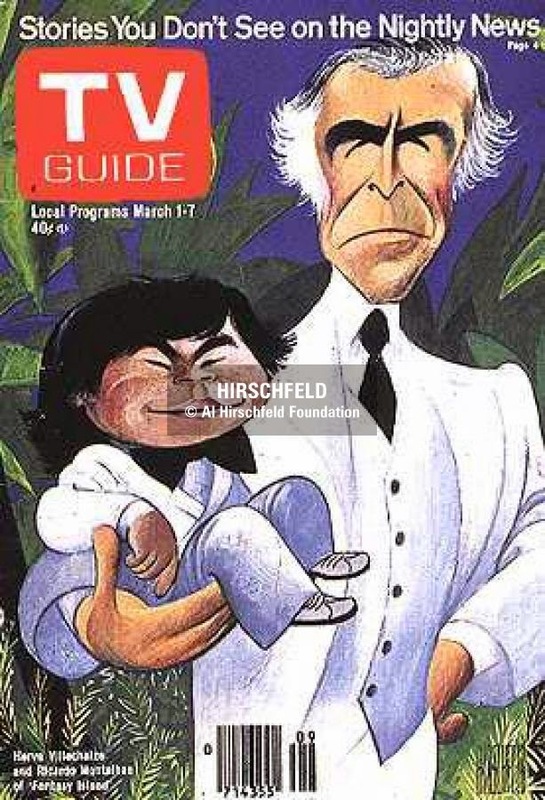 You never quite knew just what to think in terms of who, exactly, Mr. Roarke was. Angel, devil, deity? Yeah, I watched both shows as well. Fawlty Towers and Firefly - great honorable mentions! I loved that show. Who didn't want to go to Fantasy Island? Never saw Fantasy Island, but absolutely love Fawlty Towers and Firefly!! Another of my absolute favorites! I'm pretty sure I still quote from Fawlty Towers at least three times a week. I just wish more people knew what I was talking about! Never saw Fantasy Island or the other shows. Mark, can I see them on Youtube or on some other site? I loved Fantasy Island. I'm sure I saw every episode and dreamed of having a crack at one of my fantasies become real. Like you, I spent many a Saturday night watching The Love Boat and then Fantasy Island. And I liked FI for the same reasons that you did. I only saw that show a few times but it was entertaining. But Firefly was only an honorable mention. My sister and I never missed the Love Boat/Fantasy Island combo on Saturday night. The top pic totally cracks me up. @Diane: I know I sure wanted to! @Al: We need to have a t.v. discussion, sometime...I'm sure we'd come up with tons of the same shows. @Rachna:I think you can catch it on Hulu or Netflix. It was like "The Monkey's Paw" every week which I loved. The remake tried to explore Rourke more which was a mistake. yeah, We watched that when I was a kid. And The Fall Guy was my brother's favorite show. Oh, and I know tomorrow's. We own the whole series on DVD, and my kids love it, too. That was a regular at our house. Even though the stories were predictable, I still followed along and believed because you knew it would be a beautiful ending. I too, watched Fantasy Island and the Love Boat, and I love Fawlty Towers and Firefly! I'm going to look up FI and see if Netflix carries it! Great post! I watched The Love Boat and Fantasy Island every Saturday night. I did a lot of babysitting in my youth. Now I wonder if Fantasy Island was really the island for Lost! Heard of but never watched Fantasy Island. I enjoyed The Love Boat. Wow, I was four for four on this one! Fantasy Island was a "don't miss" show in our household back in the day. Yep, watched this one. My mother was totally hung up on Ricardo M. Firefly is one of my all time faves. And Fawlty Towers never fails to make me snort laugh.